Writing a post for a food blog has proved an interesting challenge. Most of my work concerns war, trauma, and the changes wrought by war on young men and women. My culinary abilities extend only in a very limited direction toward the barbeque grill and frozen pizza. 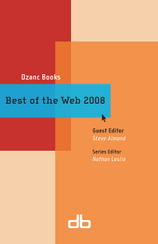 However, I would like to share two experiences that involve food and war and that may shed some light in an ancillary way on my story "The Cabalfish" which appears in Dzanc Press’ anthology Best of the Web 2008. From 2005 to 2006 I worked in the hottest, most southern part of Iraq, serving as a Civil Affairs Officer for the city of Safwan. Temperatures in August and September peaked around 140 Fahrenheit and the idea of ‘dry heat’ was only a myth. Wind, when it blew, came from the south, off the Arabian Gulf. While not humid in the same way as, say, Mississippi, it wasn’t dry heat. We likened the feeling of the climate to opening an oven, sticking your head inside and turning on a sandblaster (grit in the air). During this time, September of 2005, I had 9 interpreters working for me, all of them Sunni of varying degrees of pious devotion, though the least devote of them was certainly more religious than most Christians I know. Ramadan began, which meant fasting from dawn till dusk every day. Wanting to experience their culture and gain their respect I agreed to fast with them. The first day I was on mission for 16 hours. The first four hours were easy: early morning. Cool day. Listening to the wailing muezzin call from the minarets in town I felt like I was doing something good and meaningful, knowing what it was to suffer, to be unable to afford the luxuries of clean, cold water and good, hot food. The next four hours got more difficult. Soldiers on my patrol ate lunch, albeit carefully so as not to offend the townsfolk in Safwan, the interpreters on patrol with them, or me. They thought I’d gone a little crazy, not to eat or drink that day at all. Again, the next four hours, pretty easy. It heated up to its normal peak temperature. The air conditioners in the HUMVEEs struggled and the crank casing, the interior of the HUMVEE, radiated heat. My clothes under my body armor were drenched in sweat, a good sign that I’d drunk enough the night before to prevent dehydration. By evening, though, the last few hours before sundown, my tongue began to swell. I felt a coating of sticky ‘leather’ on it. I had a headache. The creases of my uniform were caked with salt from evaporating sweat. I began to worry that I wouldn’t make it through. We pulled into our base just as the sun set. I clearly remember the taste of the first bottle of water I drank, cold, tingling, almost hurtful. Then dizziness hit me. I steadied myself against the wall of the mess hall for a minute or two. By the time I reached the food line I had recovered, drank two more bottles of water, and was ready to eat. The second day the effects hit me more strenuously. The day wasn’t any hotter. But the remembrance of the previous day’s suffering and the ill-timed opening of a bottle of Gatorade by my driver nearly made me falter in my resolve. That Gatorade, red colored, smelled so sweetly of sugar that I could taste it flowing in the air between the driver and my mouth. My sense of smell has never felt so sharp. I craved it but resisted. By the third day, about noon, I felt truly sick. Headache, grumpiness, dizzy spells despite several of liters of water and a good solid breakfast before sunrise. I had noticed throughout the first days of fasting more than one Iraqi worker laboring in the heat as they drank water, ate snacks, even spit -- a thing I couldn’t contemplate with my moisture-less tongue. My interpreters dismissed them as lazy Shi'a and contrasted the Shi'a’s disobedience against their own more observant Sunni rites. However, on this third day I caught one of my interpreters drinking secretly while he thought I wasn’t watching. I called him on it. “I have a fatwa,” he said. “From my imam. Workers in the heat, we can make up the days of fasting after Ramadan when we aren’t working.” Bob began to laugh. They’d conspired, all nine of them, to hide the edict from me: a great joke on their boss. Over the course of the year, I grew very close to all of my interpreters. But I never again abstained from food or drink while on mission. In winter, travel between northern and southern Kuwait along the infamous ‘highway of death’ from the First Gulf War reveals an interesting sight: the barren reaches of the desert blossom with tents. All the urbanized Kuwaitis return to vacation, relive their Bedouin roots, by erecting family and tribe shelters in the barren desert, brightly striped tents, pampered racing camels in pens, flashing neon bulbs on hastily constructed fences to outline one nomad’s claim from the next. My interpreter Sam and the sheik of his family set their encampment directly under a mega-power line not far from our base camp. There wasn’t another family within several miles of their compound, which made it safe to visit, though the cracking electricity in the lines above their tents oddly offset the quiet of the desert and the purported rationale behind their vacation, the return to Bedouin roots. They invited me and several of my sergeants to a traditional dinner. One of my sergeants brought a whoopee cushion. The boy children loved it, ran giggling with it to the women’s tent, across the compound, where we heard but did not see, the women of the family as they laughed and employed the device. The sheik waved his hand. We sat on cushions around the edges of the tent, twelve or thirteen of Sam’s cousins and uncles. One or two of them spoke English. I spoke halting Arabic. Sam translated in a steady flow of encouragement, tall-tales, and history. A tray of rice, yogurt and vegetables was laid between us. It’s centerpiece: a whole lamb cooked with its head intact. The sheik motioned to us, as his guests, to begin eating. Sam demonstrated in the air. Cup fingers together, scoop, pluck at the meat, insert into mouth. I tried. It wasn’t bad, though the lamb was a bit gamey. Smothered in yogurt sauce, I actually enjoyed it. That is, until the sheik plucked some brains and mucus-y matter through the empty sockets of the lamb’s eyes. I could eat no more, though, when the pipe was passed that evening, and pictures taken and hands shook, I knew the experience and authenticity of the evening were well worth the trauma of watching the sheik enjoy his supper. 1 Response to "Dzanc's Best of the Web 2008: Benjamin Buchholz in Iraq"
It's good to read some first hand accounts of experiences in the Middle East.